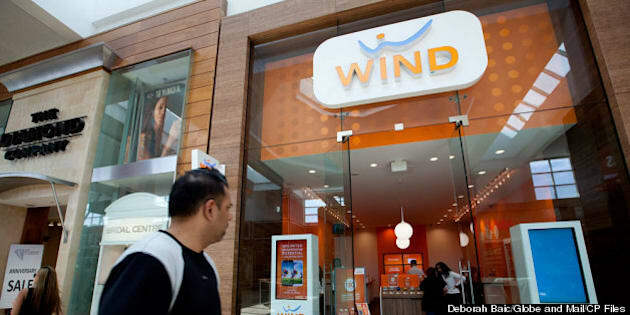 A prominent analyst has declared Wind Mobile “all but dead” after its parent company wrote off its entire investment in the wireless carrier. Wind Mobile was conspicuous by its absence in the recent auction of 700 mHZ spectrum, pulling out at the last moment. Analysts saw the auction as crucial for any wireless carrier that plans to be a major player going forward. Vimpelcom, Wind’s Amsterdam-based parent company, said Thursday it had written off the entire $768-million value of its investment in Wind due to “challenges” the company is facing, which “resulted in ... the reassessment of the prospects for continuing operations in the country,” as quoted at the Globe and Mail. In a note to clients, Dvai Ghose, head of research at Canaccord Genuity, declared the company “all but dead” and said he doubted Vimpelcom would be willing to cover Wind’s losses going forward. “This does not come as a surprise given 1) Industry Canada has refused to allow VimpelCom to control Wind, despite relaxation of foreign ownership restrictions; and 2) VimpelCom’s decision not to finance 700 MHz spectrum purchases for Wind,” Ghose wrote, as quoted IT World Canada. There has been some relatively good news coming out of Wind recently. The company has seen a 14-per-cent increase in subscribers over the past year, to some 676,000 customers, Wind chairman and CEO Anthony Lacavera told MobileSyrup. Lacavera insists that it’s “business as usual” at the wireless carrier. “This accounting decision by Vimpelcom has no impact on our operations,” he said, as quoted at the Financial Post. But Vimpelcom itself sounds like it’s looking for a graceful exit.